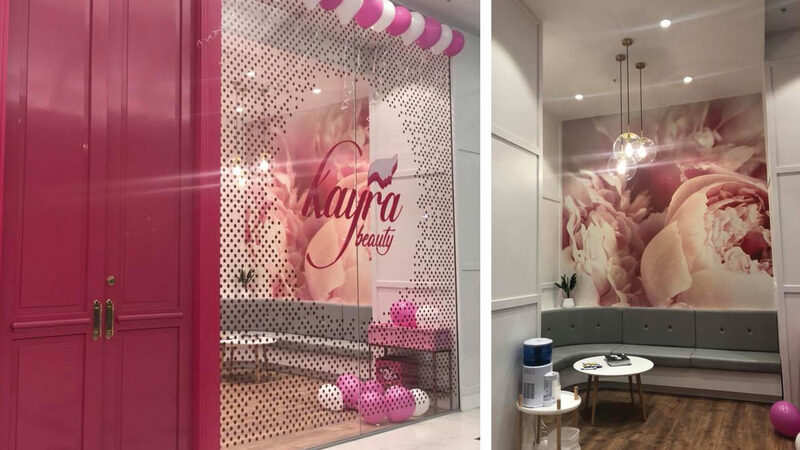 Kayra Beauty occupies a prime site on the ground floor of The Palms Mall, Christchurch. 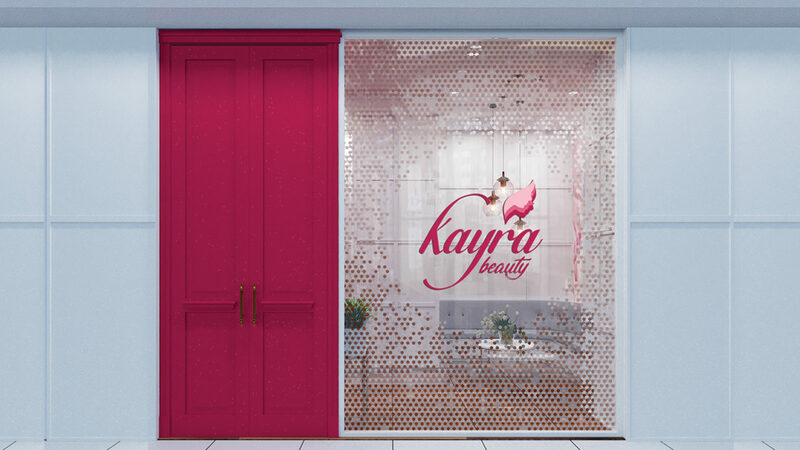 Kayra Beauty is an existing business which required and new look and re-brand of their logo. 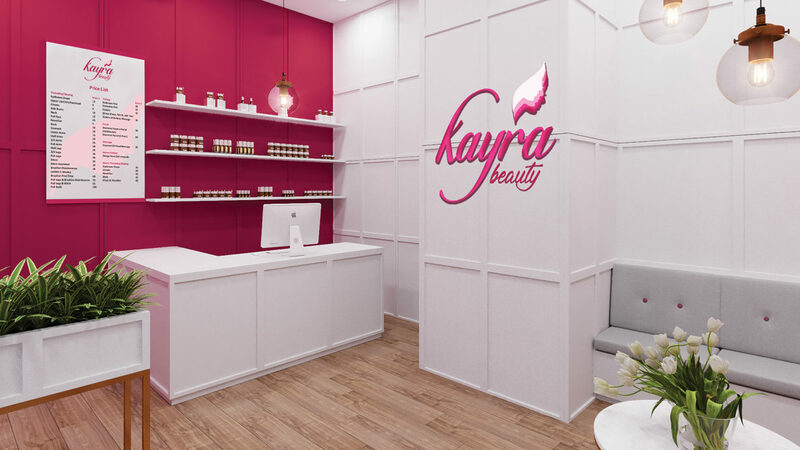 The store offers men and women’s waxing, tinting, facials, massages and henna tattoos. 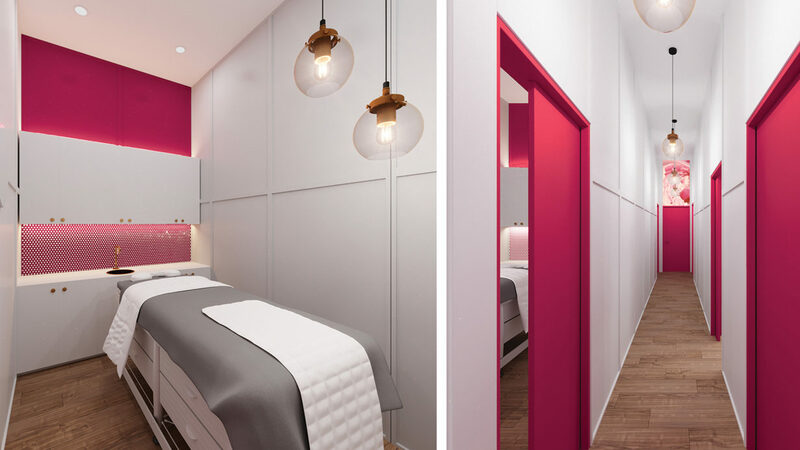 The full height pink detailed timber door, gold handles and eye-catching gold pattern glazing to the shop front is a standout draw card which entices interest from passers-by.